Vasa sank to the bottom of Stockholm harbor less than one nautical mile into its maiden voyage in 1628. It was raised to the surface in 1961 and is currently on display in a purpose-built museum in Stockholm. 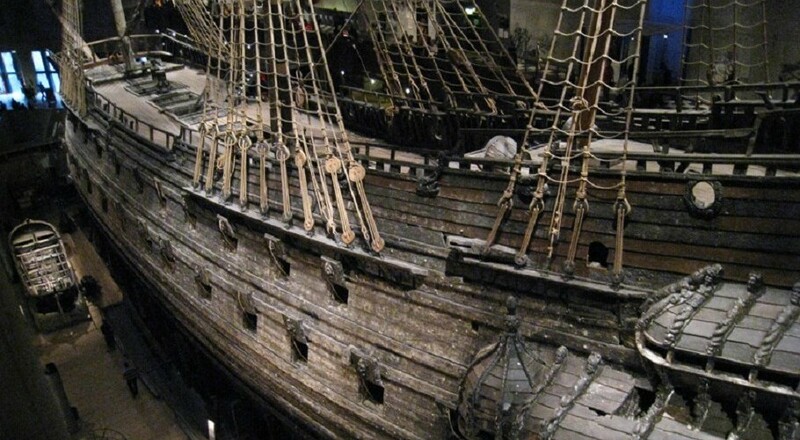 Although it is visited by more than one million people each year, scholars have only recently begun analyzing Vasa and its thousands of associated artifacts. This project focuses on determining the methods of naval architecture with which the vessel was designed. Vasa was commissioned by Swedish King Gustav II Adolf and built in Stockholm, however, it was designed by Dutch shipwright Henrik Hybertsson. Recently indentified constructional details in the hull confirm that the vessel was constructed according to the 17th-century Dutch shipbuilding tradition. Thus, while the vessel sailed (briefly) under the Swedish flag, it is conceptually and structurally a Dutch ship. The Dutch did not pre-design their ships on paper prior to construction; instead, the shipwright used a set of basic rules to determine overall dimensions of the vessel and designed the rest by eye. The design of a Dutch vessel, consequently, existed almost entirely in the mind of the shipwright. To determine how Vasa was conceived and designed, a process is used termed “reverse naval architecture” that seeks geometric and proportional patterns in hull elements and analyzes their relationship. The results of this investigation will lead to a fuller understanding of both Vasa and Dutch naval architecture. This is particularly important given the preeminence and influence of Dutch shipbuilding during the 17th century throughout Northern Europe. Study of archaeological remains and literary sources have provided researchers with significant information on Dutch construction methods; however, the design methods remain unclear. As the only intact 17th-century vessel in existence, Vasa presents researchers with a remarkable opportunity to study the Dutch shipbuilding tradition. 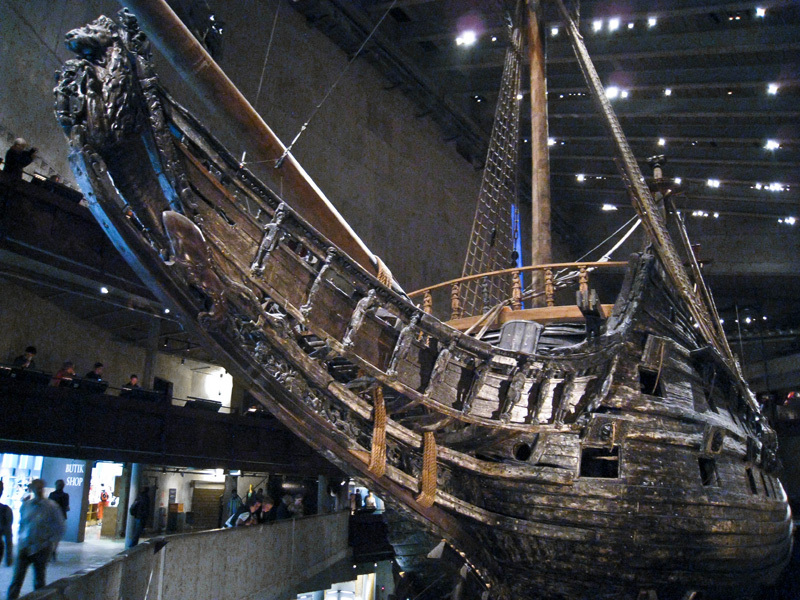 ABOVE: Beakhead and bow of Vasa at the Vasa Museum in Stockholm. August 2010. (Photo by Kelby Rose).